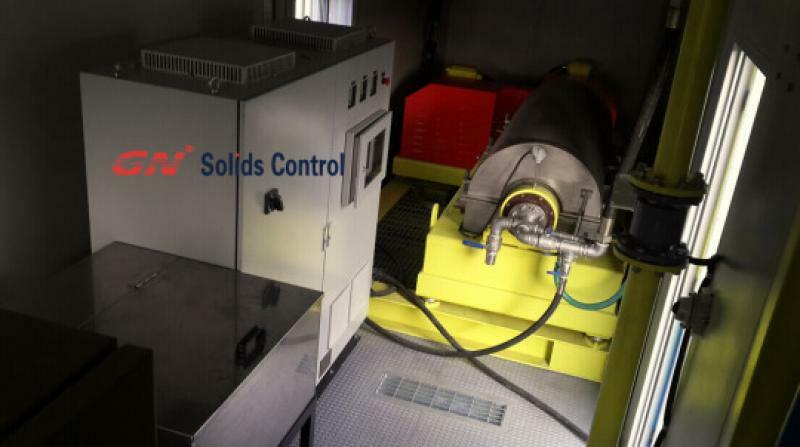 Drilling waste decanter centrifuge can be used together with Chemical enhance dewatering unit. We call it dewatering unit. The total system is normally put in a 20ft container or a 40ft container, per customers’ request. Chemical enhance dewatering unit, frankly speaking, it is a mixing system for chemicals. Chemical can be mixing and storage in the system per the set conditions. And then the qualified chemicals can be transferred to decanter centrifuge feeding pipe and mixed with mud before center into centrifuge for treatment. 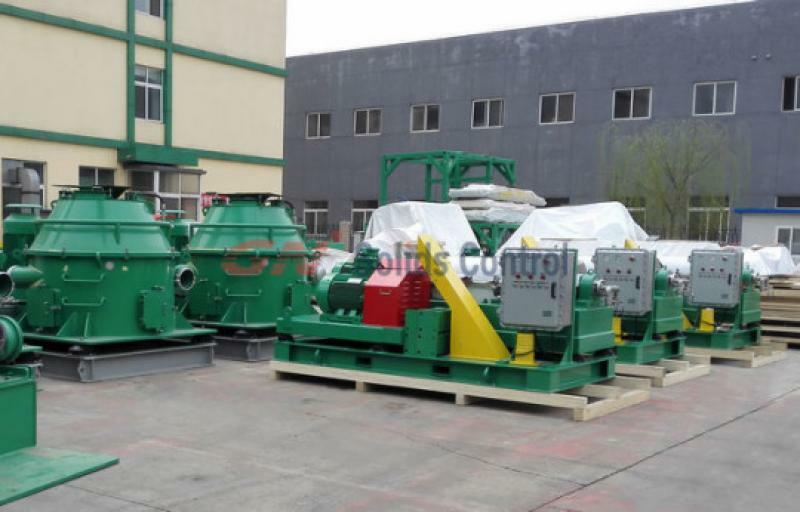 Some customer is wondering: the decanter centrifuge is used to separate the fine solids from drilling mud, why chemical enhance dewatering unit is need together? And in which condition, the chemical enhance dewatering unit is needed? The reason is that, decanter centrifuge is a kind of physical separation. It applies high G force and the differential speed to separate fine solids above 2 ~ 5 microns from drilling mud. For the even more fine solids smaller than 2 ~ 5 microns, decanter centrifuge is not worktable. They will be left in the fluids after separation. If customer want to separate this part of the ultra fine solids and get more pure water, chemical treatment is requested. The function of the chemical enhance is to make the fine solids in a bigger size, in this case, decanter centrifuge can treat it. Answers as below: The centrifuge manufacturer or dewatering unit manufacturer, they normally only make the machine, they do not supplier chemicals. There are chemical company for all the jobs. What you should do then is to find a reliable chemical supplier, send them samples of your materials, and tell them result you want to get, the chemical engineer will test and offer you the suitable chemicals and instruct you how to use it. 1) Dewatering unit is an important part for waste water treatment. 2) Combined with high speed or super high speed decanter centrifuge, dewatering unit is widely used for water base mud drilling cuttings treatment. 4) Dewatering unit can be used in dredging slurry separation system in civil projects. In this case, it is used together with belt compressor. (1) If the surface of the flocculants powder is dissolved too rapidly, there will be particle mutually attached, therefore it will cause the particle interior does not be dissolved completely; the usual operation is to use various types of dispersing and dissolving device. Normally, its takes around 1hour for flocculants powder to be fully dissolved. If the flocculants cannot be mixing completely, it will reduce the performance. Dewatering unit is usually put into container. 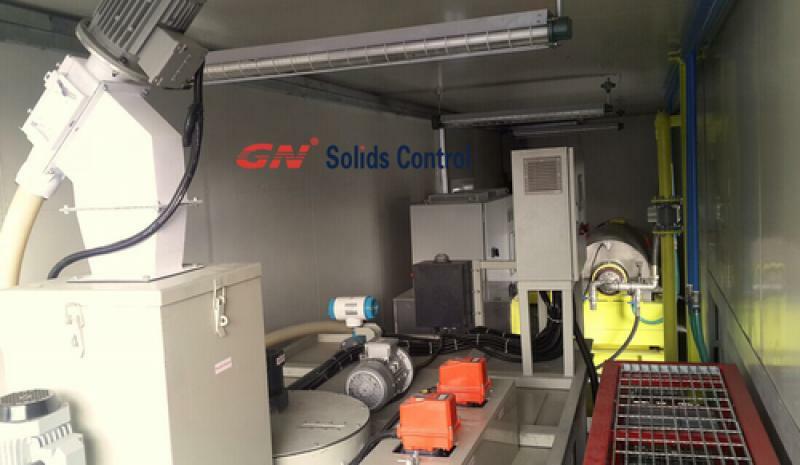 GN Solids Control company offers 20ft containerized dewatering unit and 40ft containerized dewatering unit. Dewater centrifuge for dewatering unit can be put into the container, inside the container or even on the top of container. When dewatering unit is used together with decanter centrifuge. It should pay attention to that: the chemicals should add on centrifuge feeding pump outlet pipe, and before enter into centrifuge. The mud cannot be mixed with chemicals and then transfer to centrifuge. Pls refer our former mail for dewatering unit pipeline.